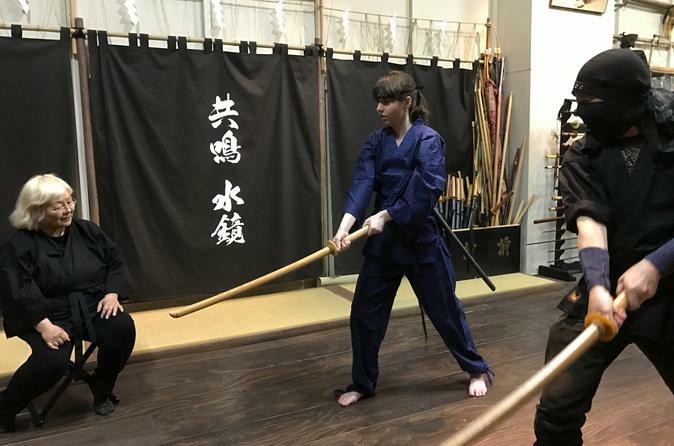 On this private ninja experience tour, you will start with meditation in a ninja outfit, or "gi," and learn 3 to 5 entry-level techniques with your ninja instructor. You’ll gain a newfound appreciation for key ninja philosophies like protecting others, community and freedom and have plenty of time for photo-taking at the end. The ultimate goal of this experience is to reach and follow the path to selflessness. Upon arriving at the dojo, you'll experience a meditation and change into ninja "gi" (outfit for ninja students). At the end of the tour, of course you will have plenty of opportunities to strike your best ninja pose and take lots of photos with your friends and instructor as your path to becoming a ninja will officially started!